Obscene Language or Unlawful Telephone Practices. It is always important to be polite and professional while discussing a debt. Obscene language is prohibited by both the California and Federal debt collection practices laws and harassing language is also prohibited. According to the Federal Trade Commission, it is improper to call someone a deadbeat or a liar or use racial or sexual slurs or epithets during collection attempts. Telephone calls may be made but if they rise to the level of harassment they violate the law. Refrain from calling too early or too late. Improper Late Fees and Service Charges. 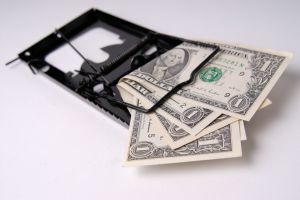 Late fees and service charges cannot be arbitrarily assessed against a debtor. Just as the method of collection is regulated by law, the amount that may be collected is similarly regulated. In California, service charges and late fees are limited and, generally speaking, cannot be charged unless they are disclosed and agreed upon in advance. The best way to avoid problems with collection is to establish proper contracts with your clients. Whether you are a trainer, breeder, farrier, barn manager, veterinarian or other service or supply provider, it is best to have your contracts reviewed periodically by an attorney experienced in both business and equine law. At Adina T. Stern, a Professional Law Corporation, we have assisted individuals and businesses with drafting and enforcing their contracts throughout California, including Los Angeles, San Diego, Orange, Riverside, San Bernardino, and Ventura counties. Is it Defamation? The Basic Elements of Slander and Libel.